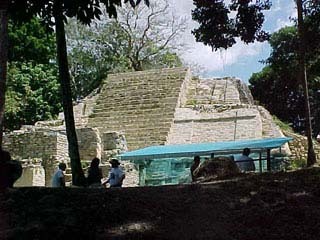 Professors Michael and Neathery Fuller visited Tulum in 2002. 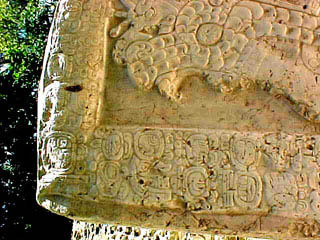 These digital images were made while escorting an STLCC educational tour to Lamanai and Chichen Itza. 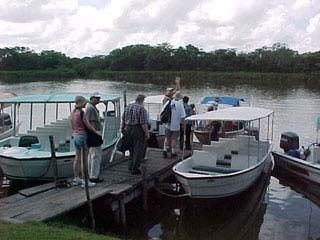 Our group took a small motor boat to reach the ruins of Lamanai. 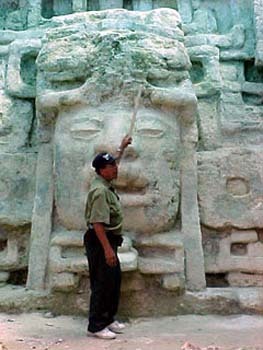 Large masks, protected by large plastic rain shield, decorate the facade of the temple at Lamanai. 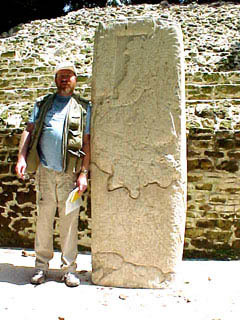 Professor Michael Fuller stands next to the stela at Lamanai and closeup on some of the glyphs. 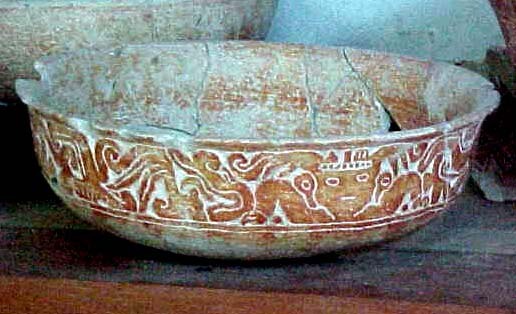 Two pottery vessels exhibited at the on-site museum. 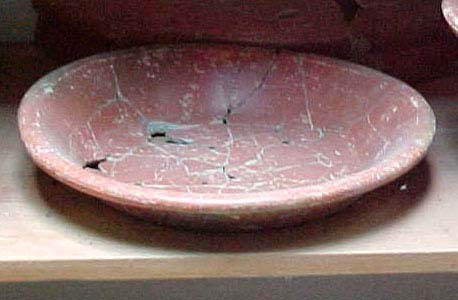 Two pottery vessels exhibited in the on-site museum. 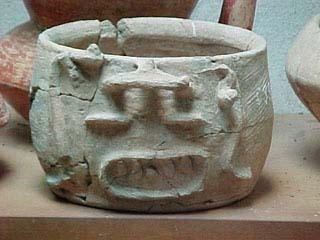 Special thanks to Professor Neathery Fuller and Anthony Foster (Media Services at St. Louis Community College - Florissant).